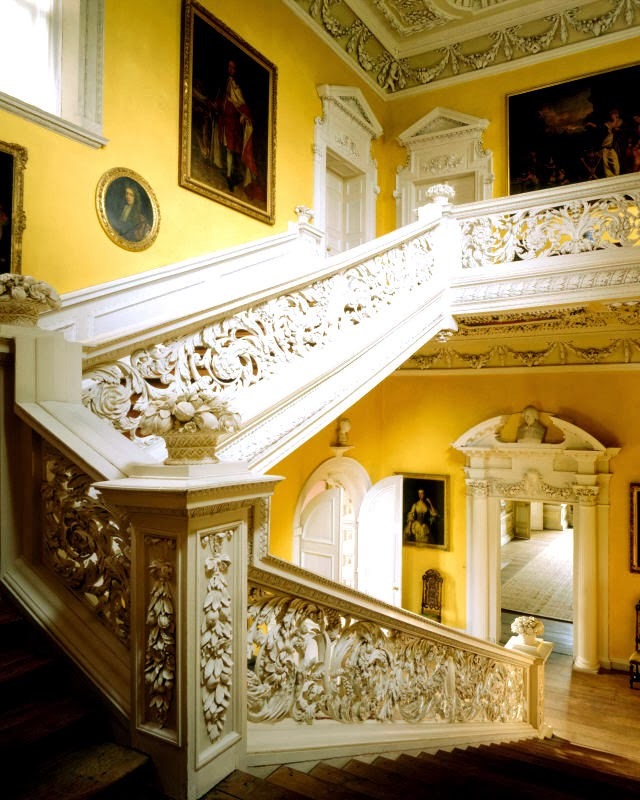 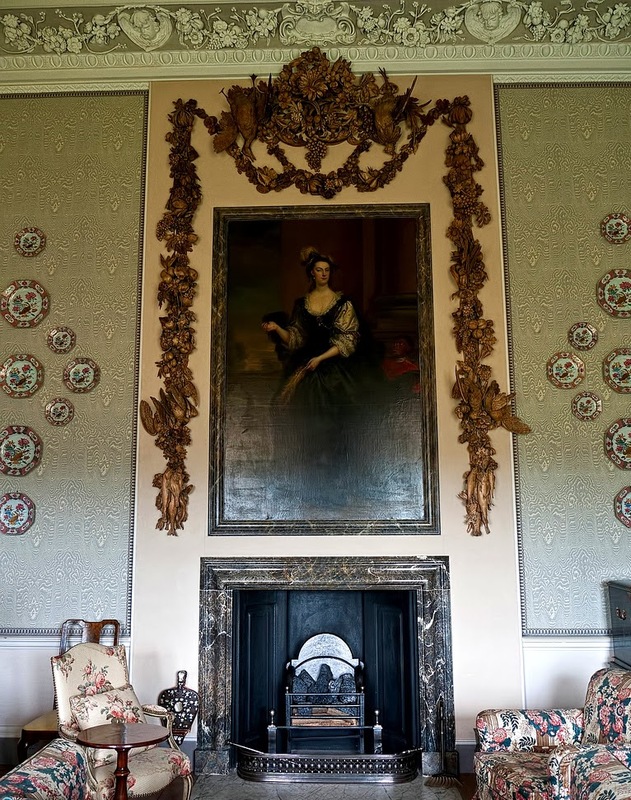 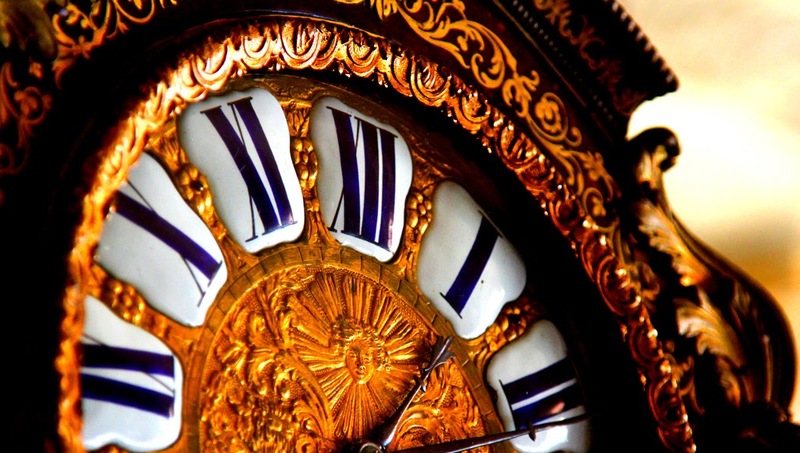 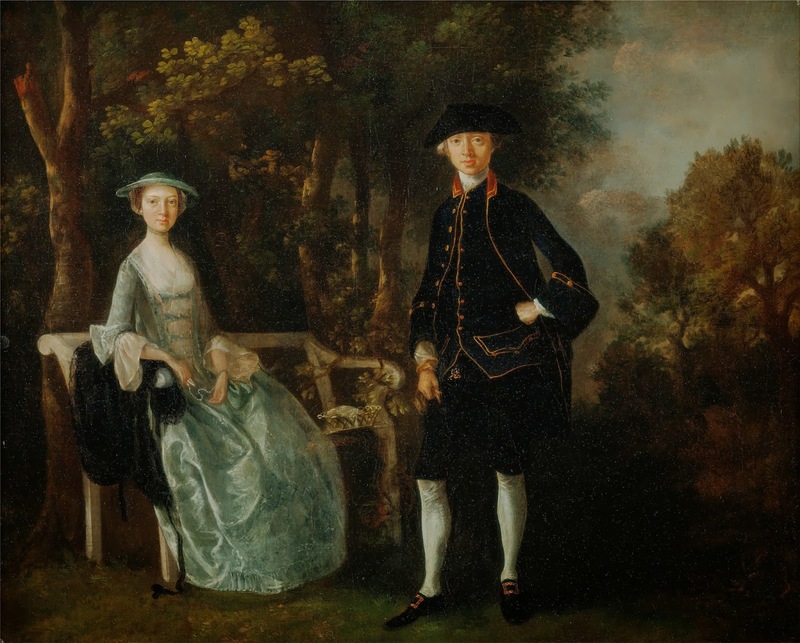 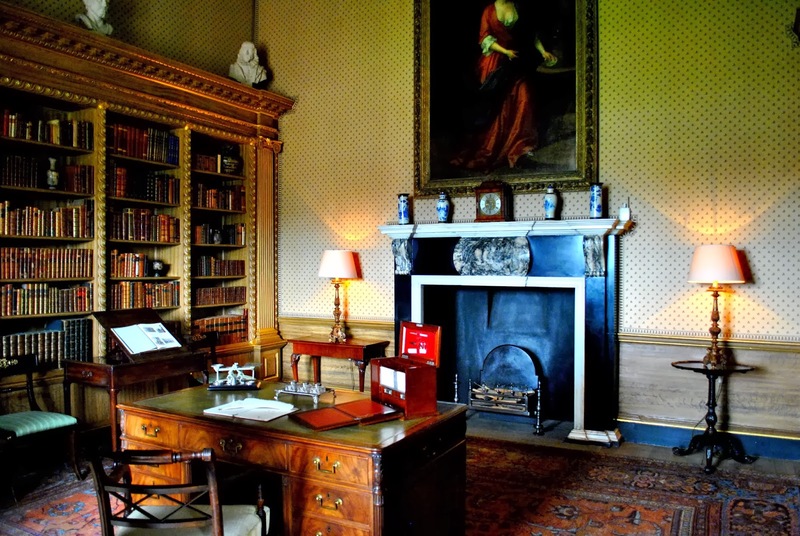 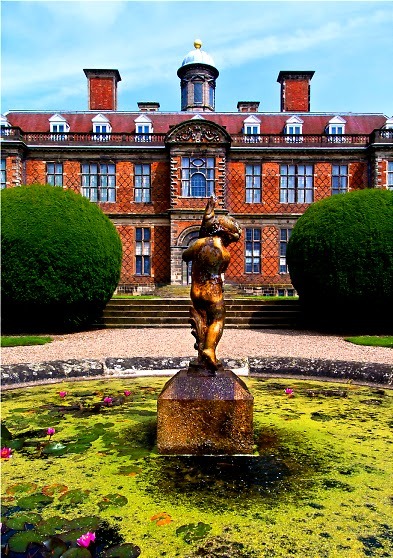 loveisspeed.......: Sudbury Hall is a country house in Sudbury, Derbyshire, England. 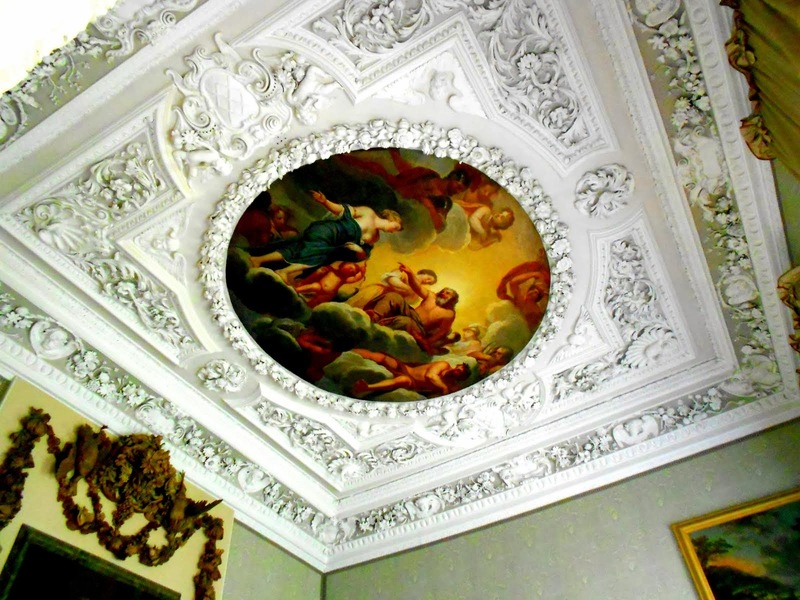 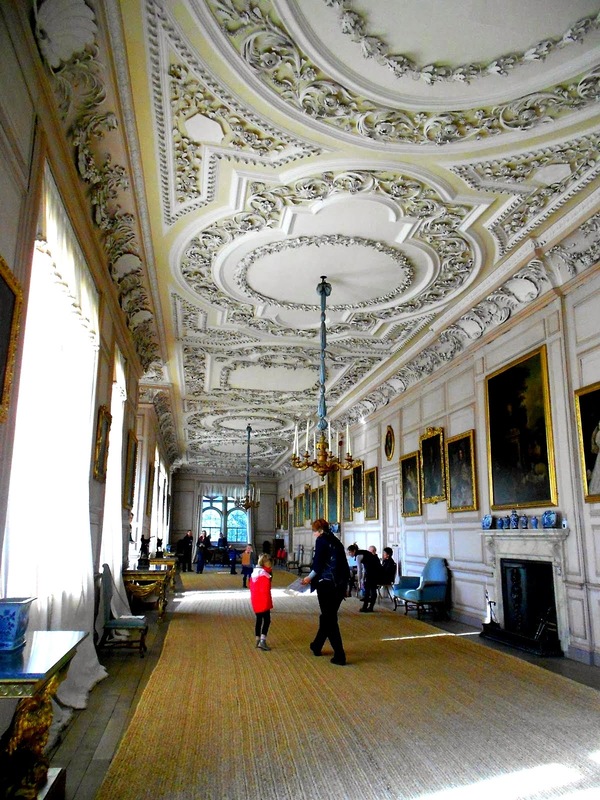 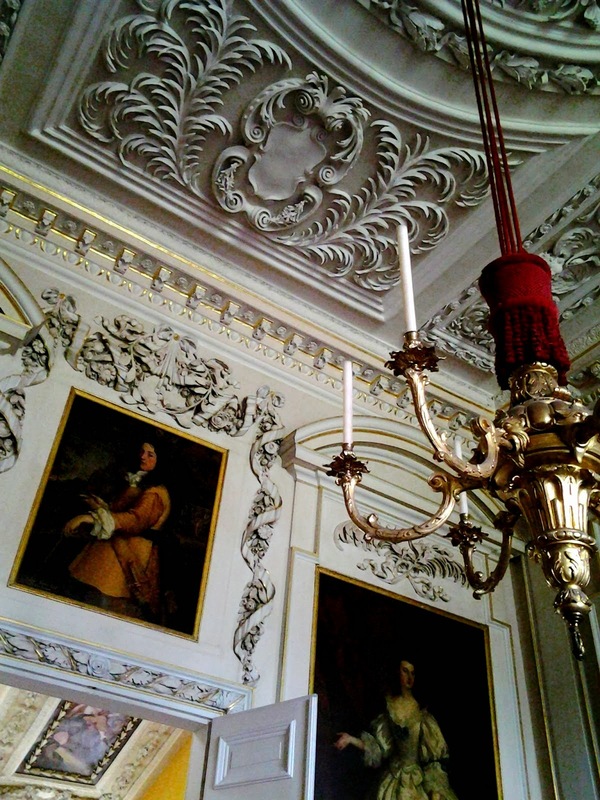 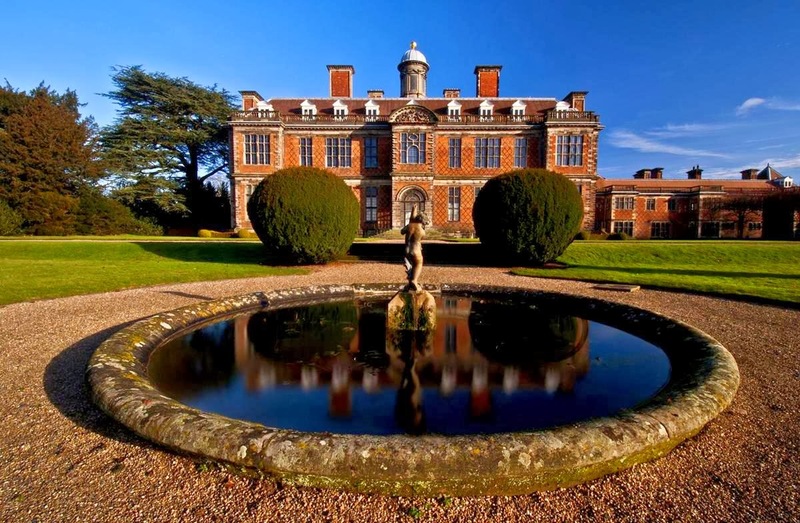 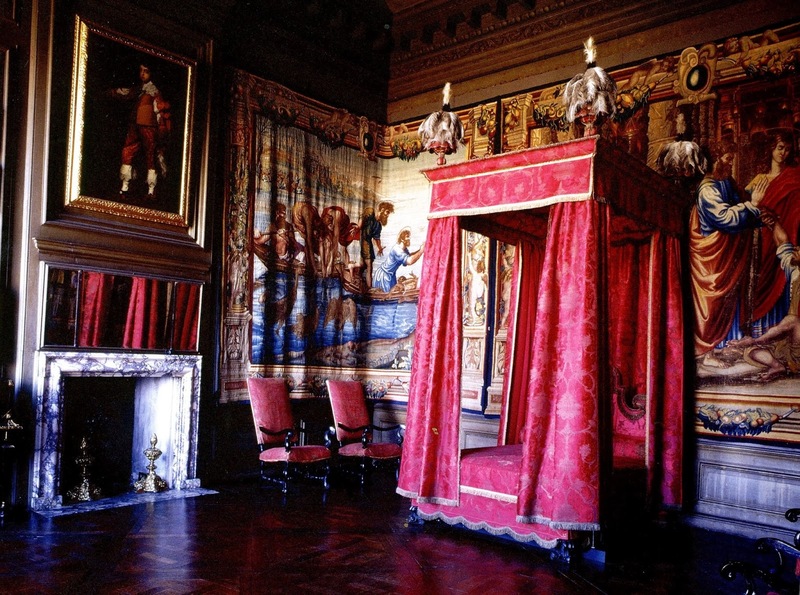 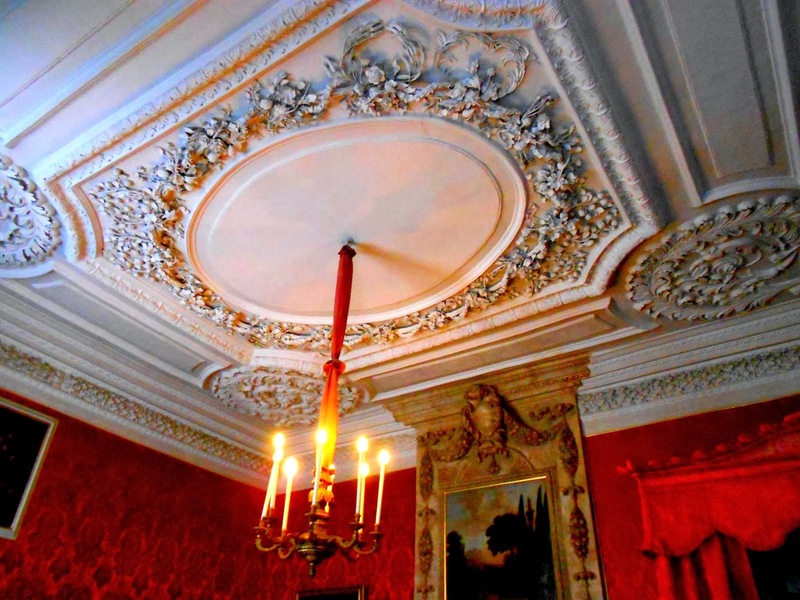 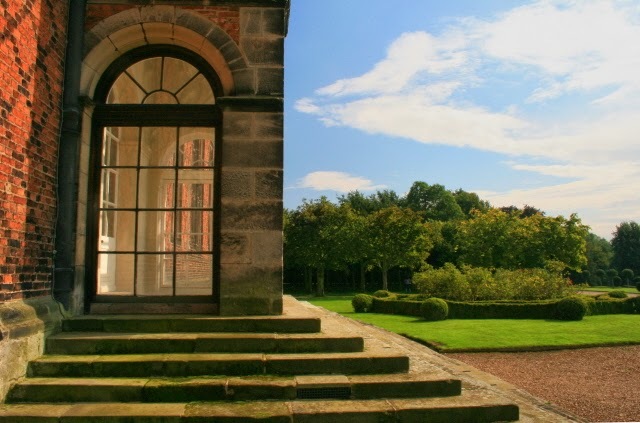 Sudbury Hall is one the country's finest Restoration mansions and has Grade I listed building status. 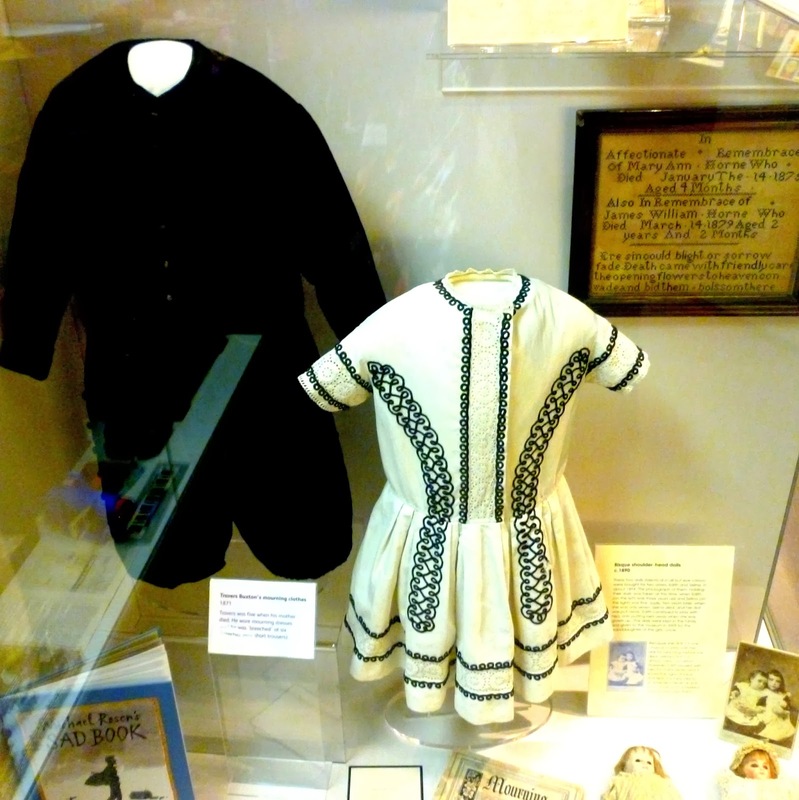 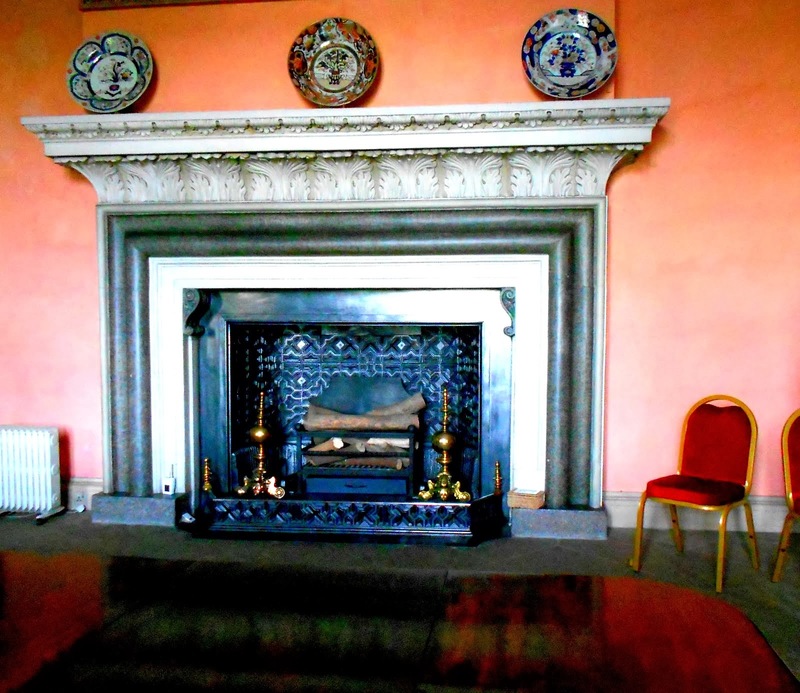 The Vernon family came to Sudbury as a result of the 16th-century marriage of Sir John Vernon to Ellen Montgomery the Sudbury heiress. 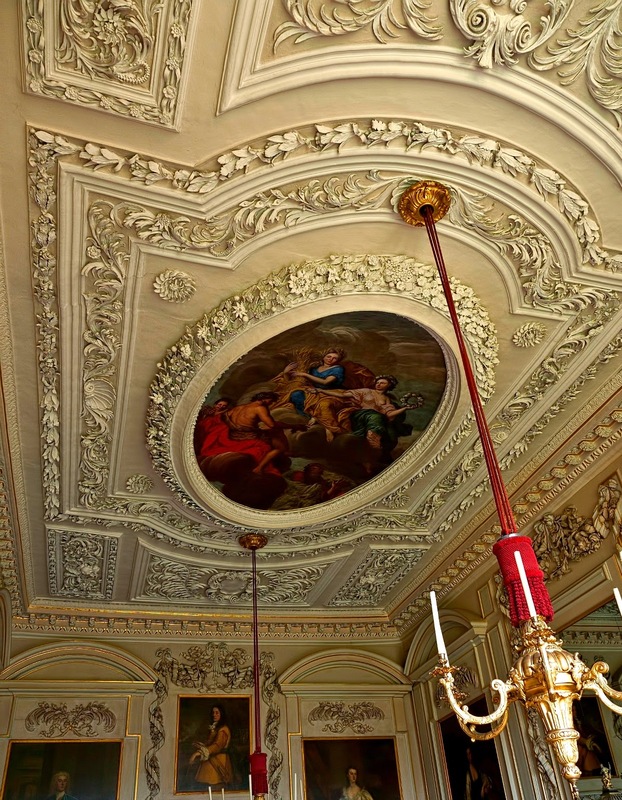 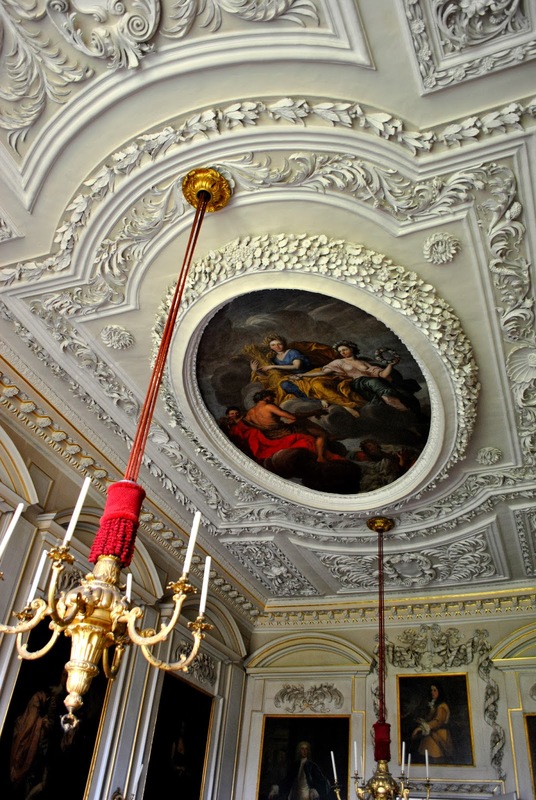 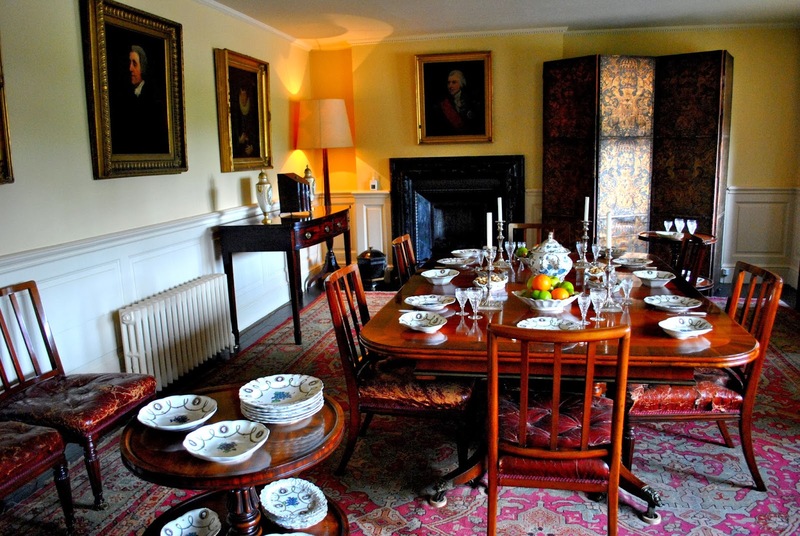 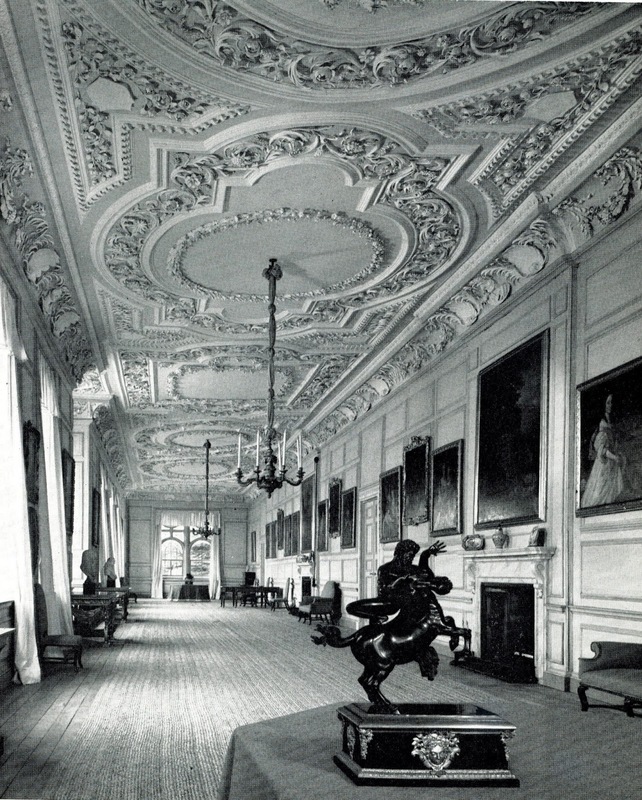 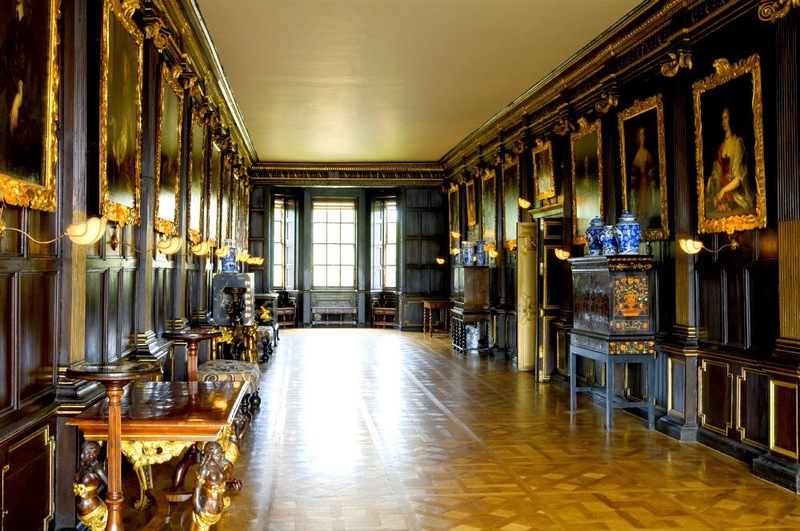 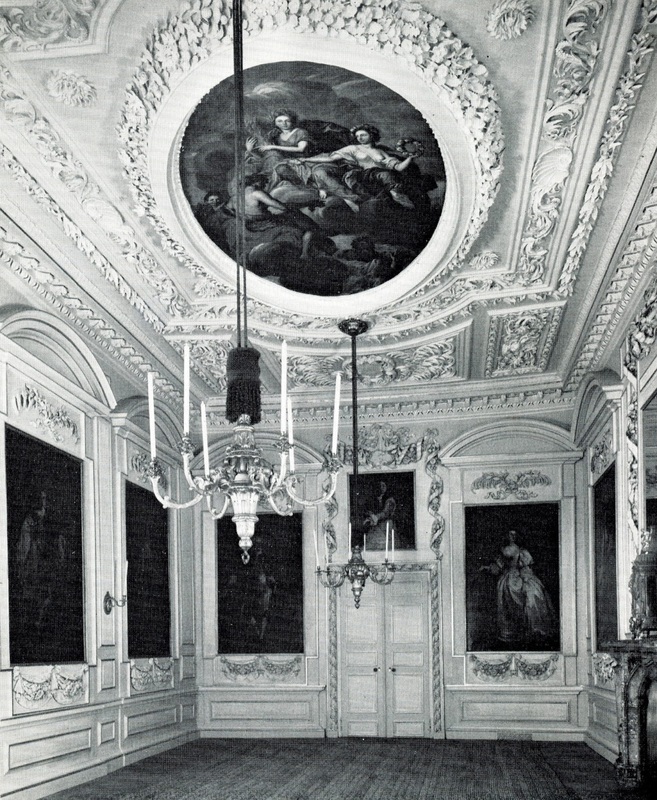 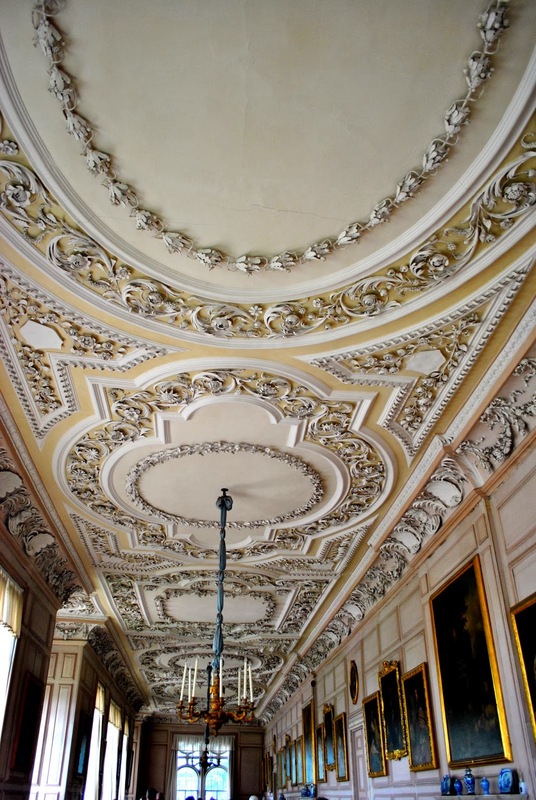 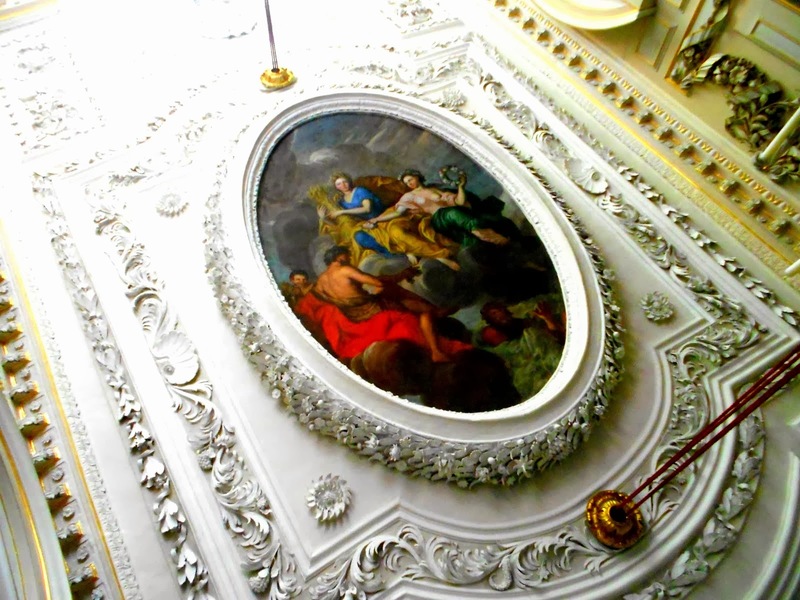 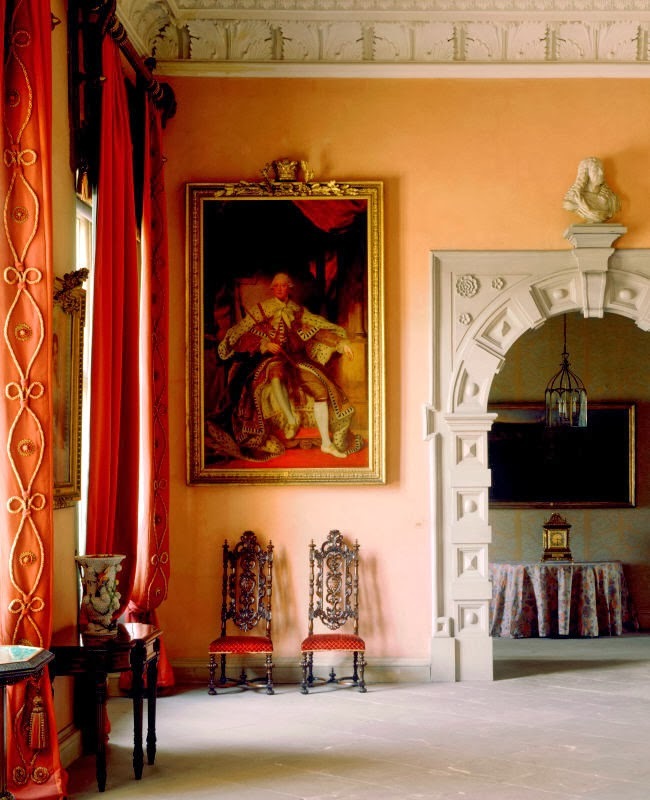 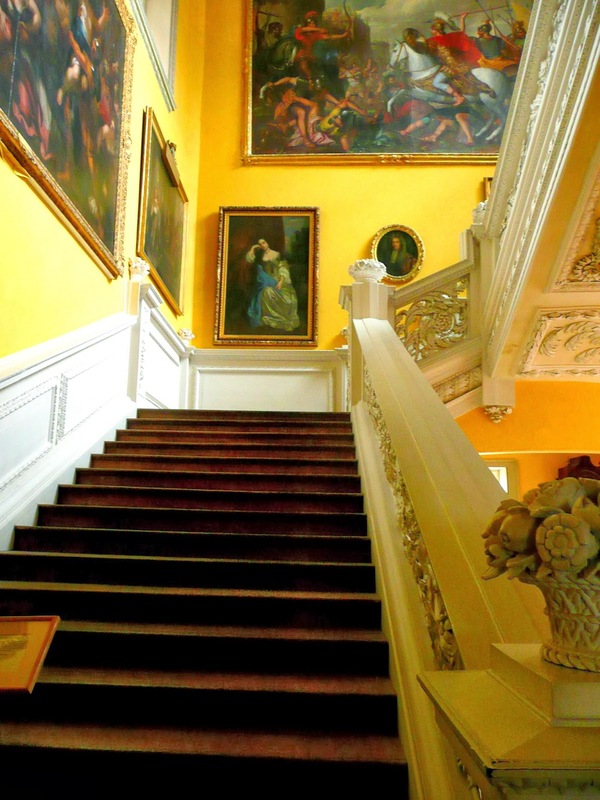 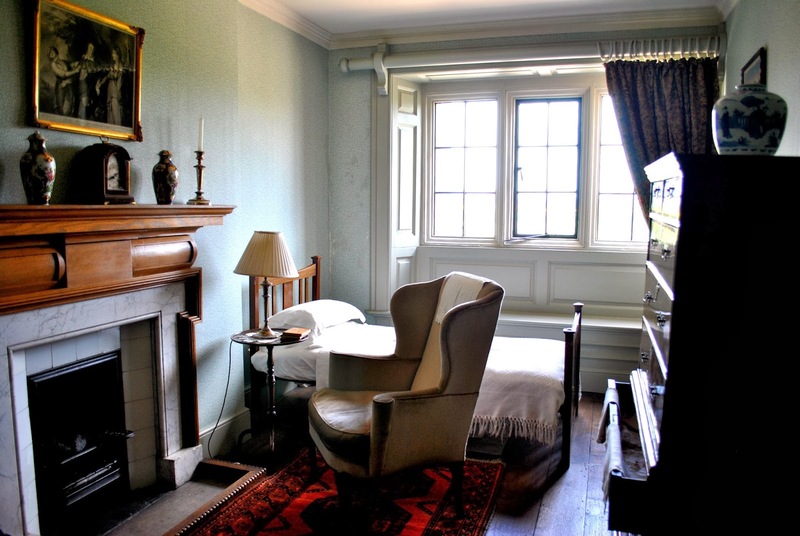 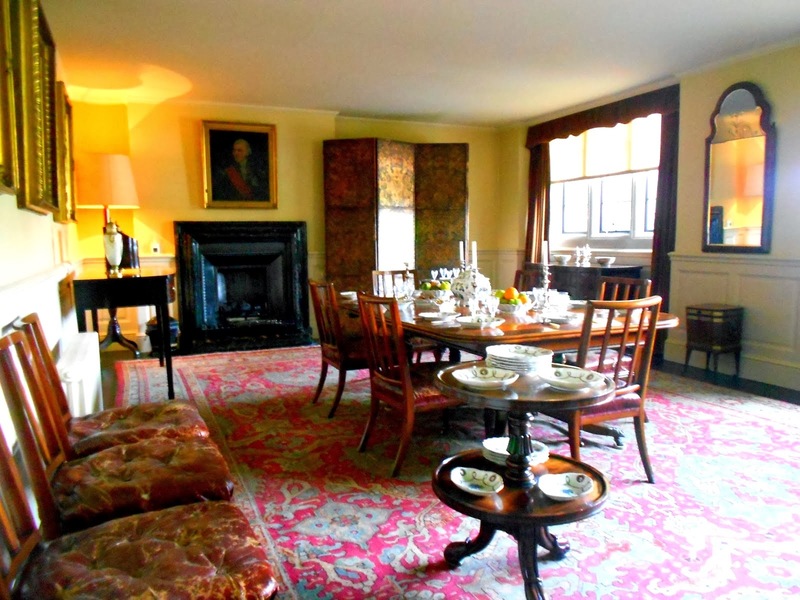 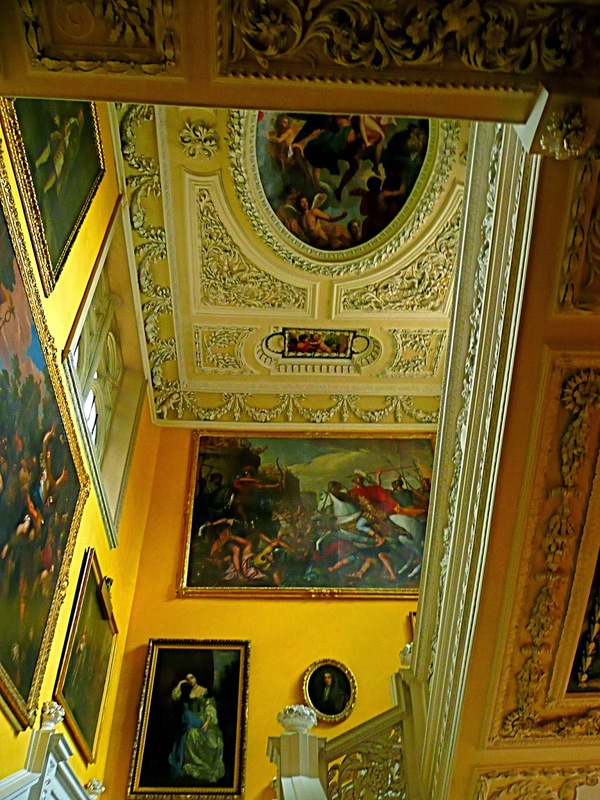 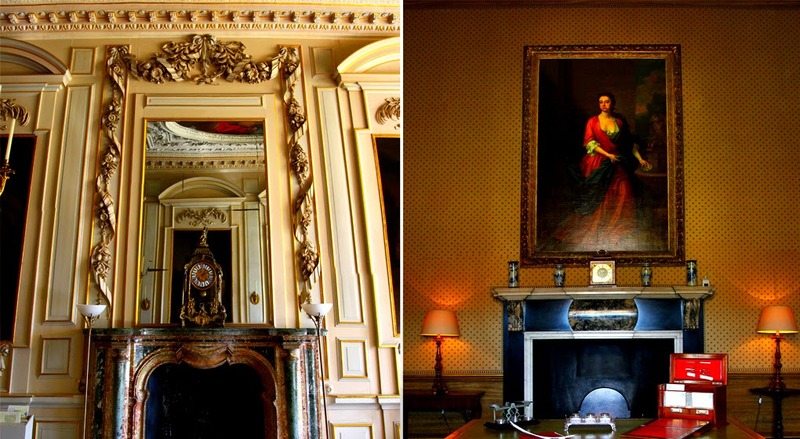 The house was built between 1660 and 1680 by George Vernon, grandfather of George Venables-Vernon the 1st Baron Vernon and is notable for its superb Great Staircase, fine Long Gallery, and portraits by John Michael Wright, and of Charles II's mistresses. 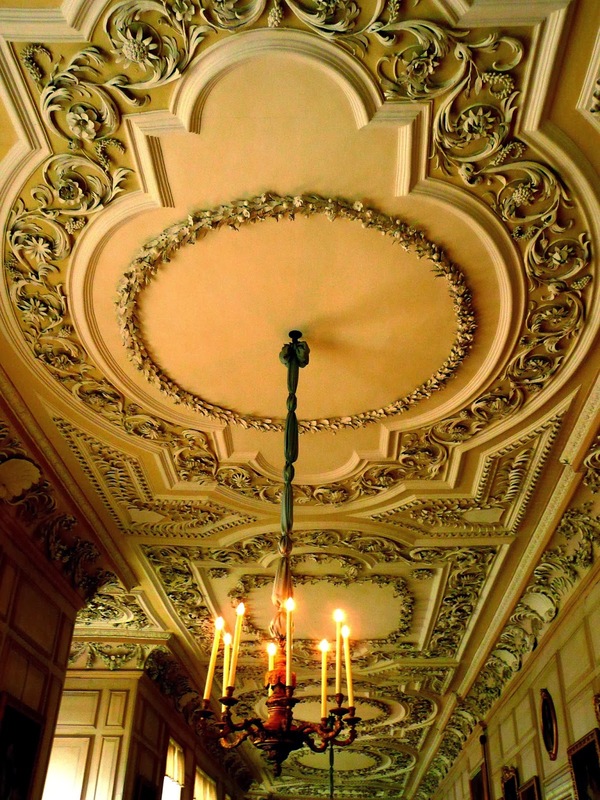 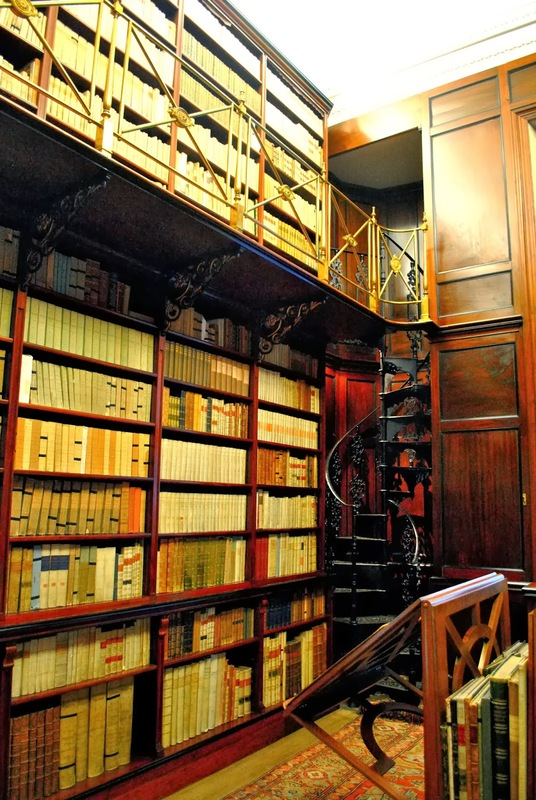 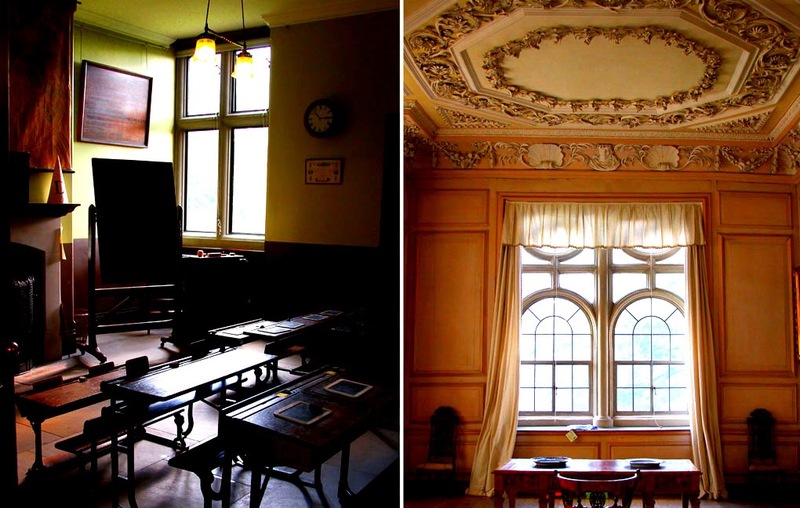 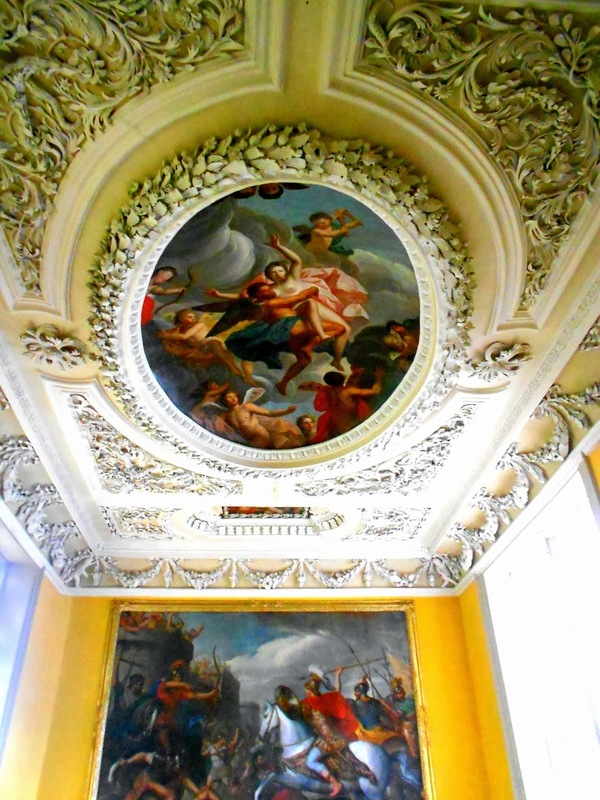 Inside there are a mixture of architectural styles with carvings by Grinling Gibbons and Edward Pearce, murals by Louis Laguerre and elaborate plasterwork by Samuel Mansfield, James Pettifer and Robert Bradbury. 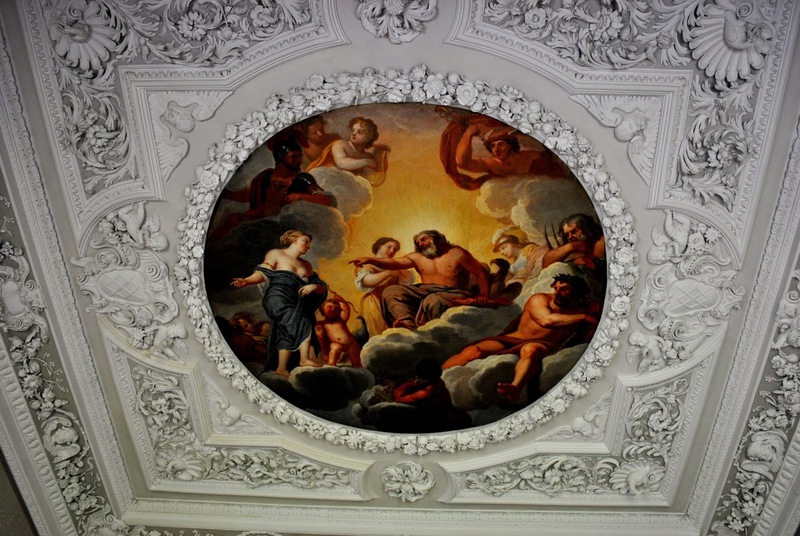 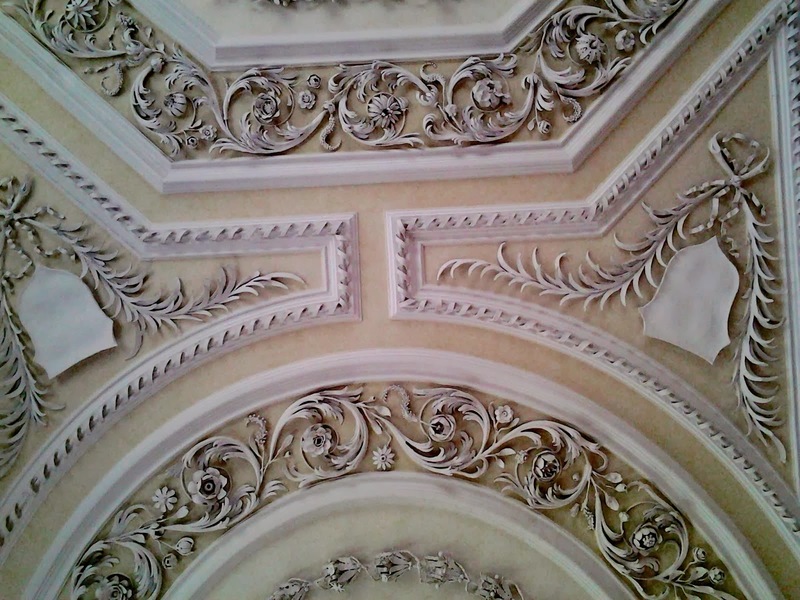 The carvings above the main entrance porch were sculpted by William Wilson. 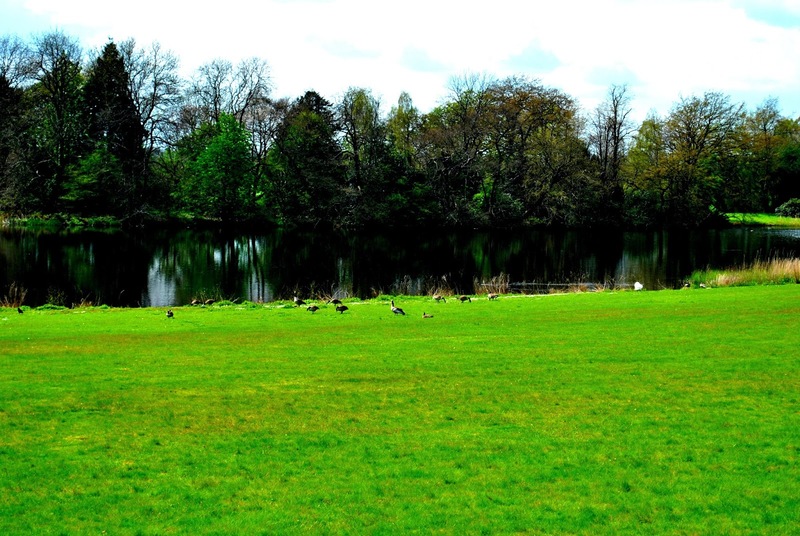 There are formal gardens with a tree-fringed lake. 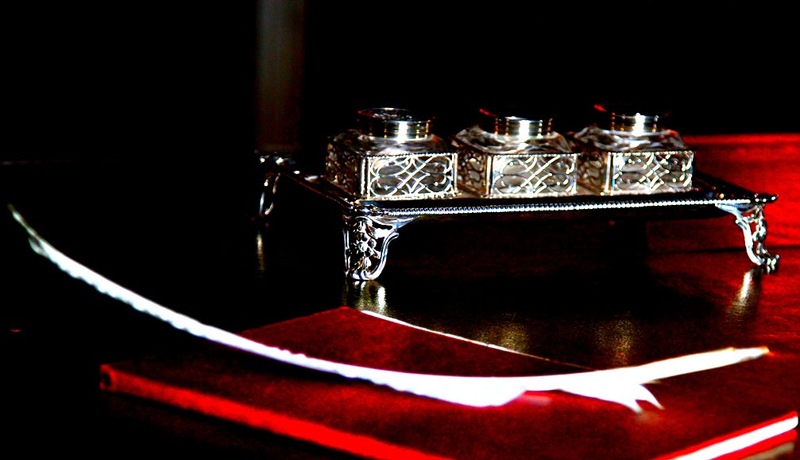 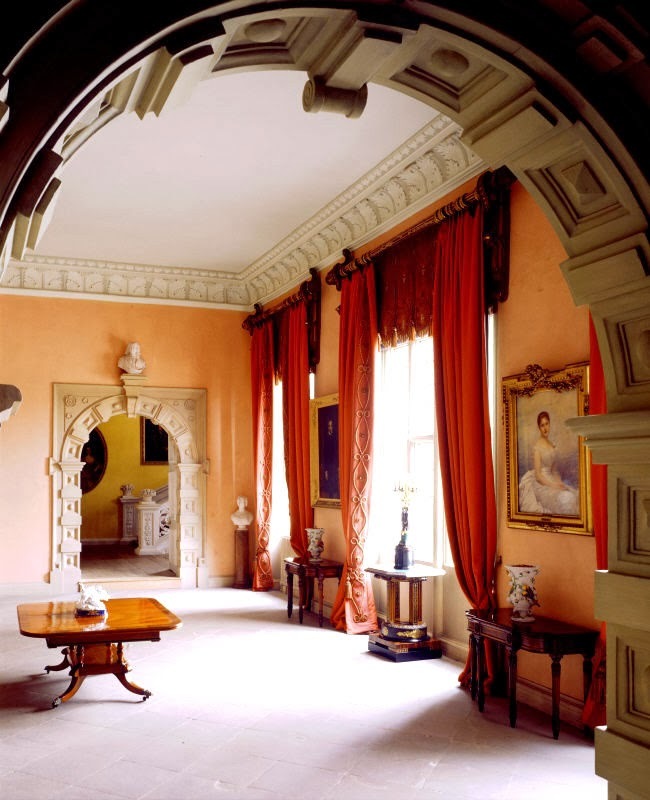 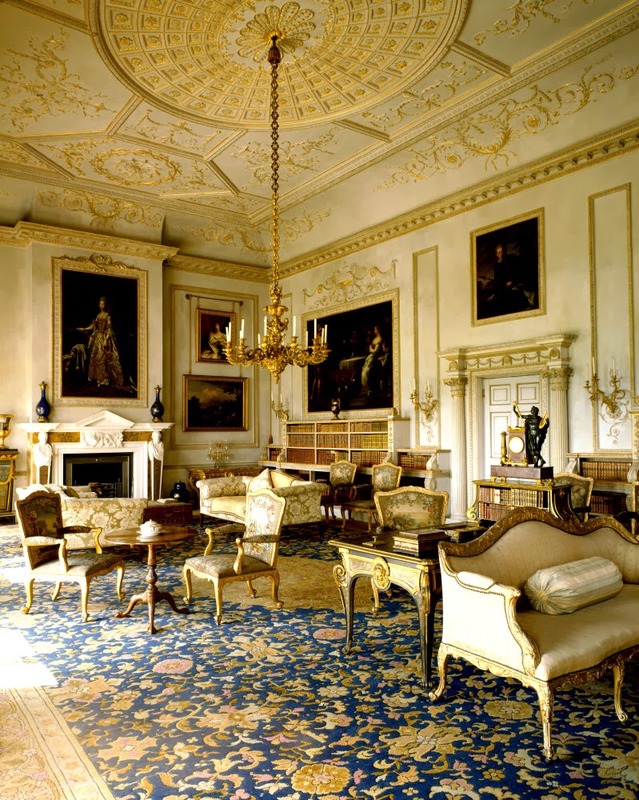 The house was also used for the internal Pemberley scenes in the BBC dramatisation (1995) of Jane Austen's Pride and Prejudice. 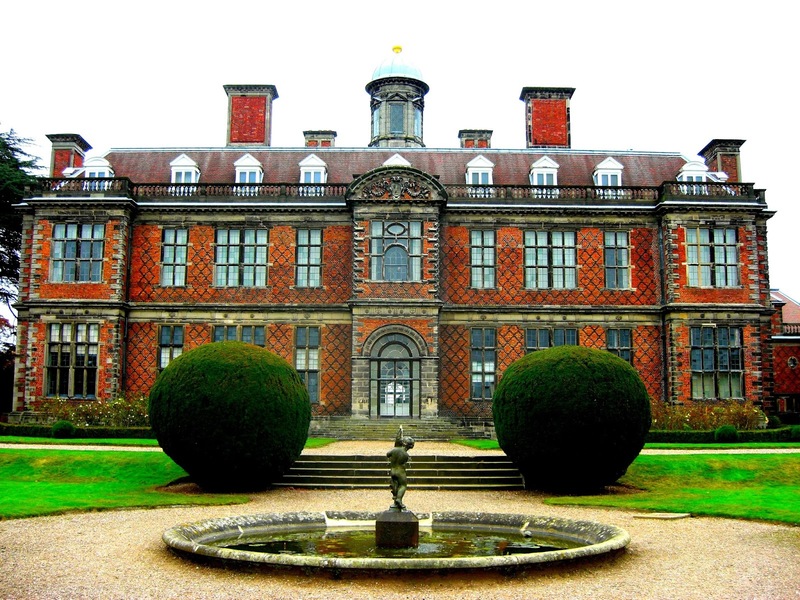 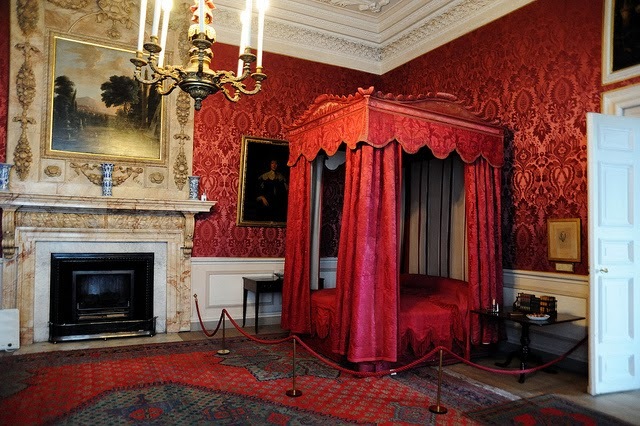 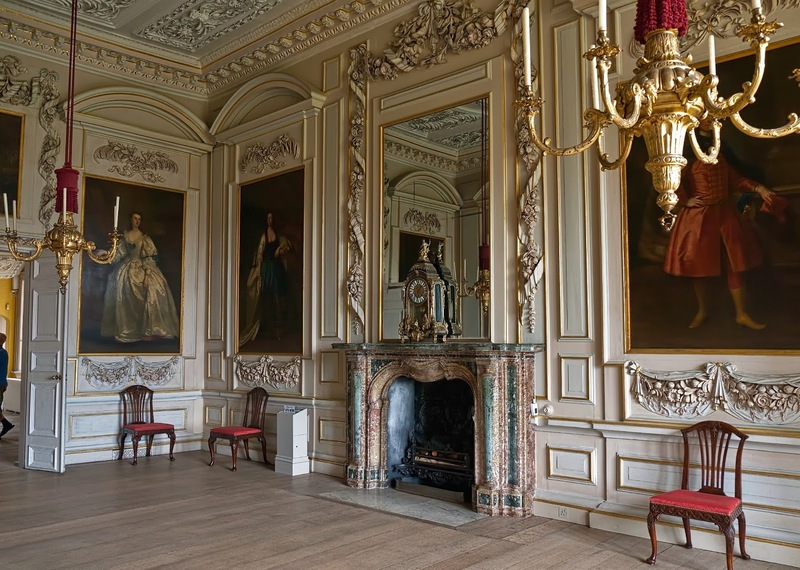 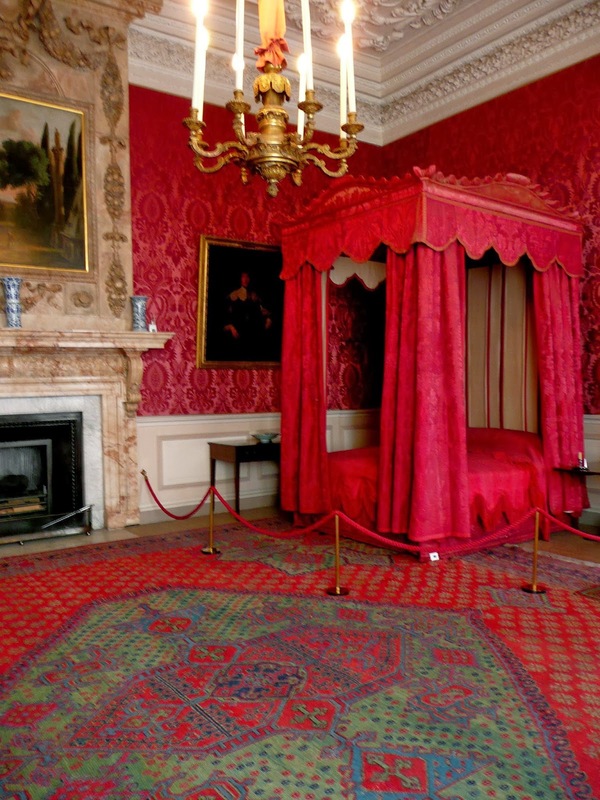 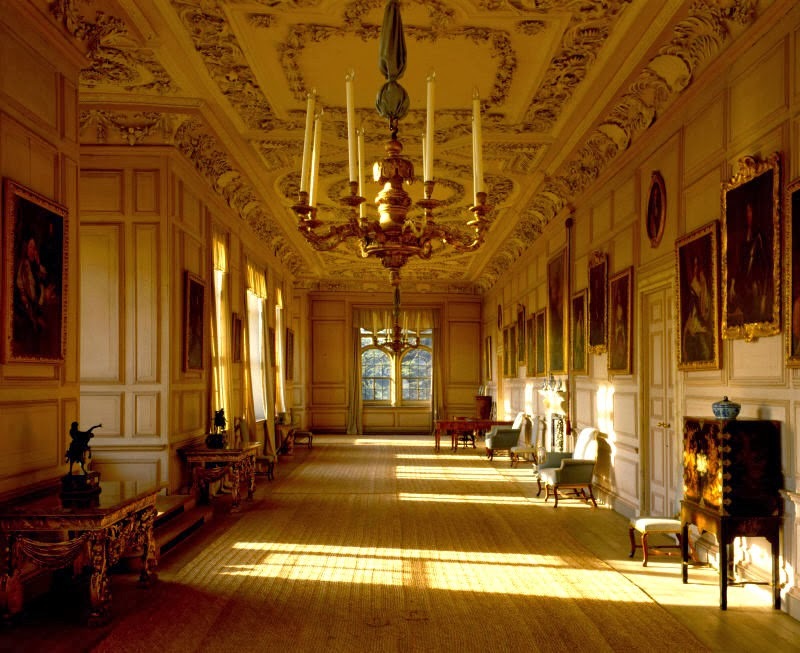 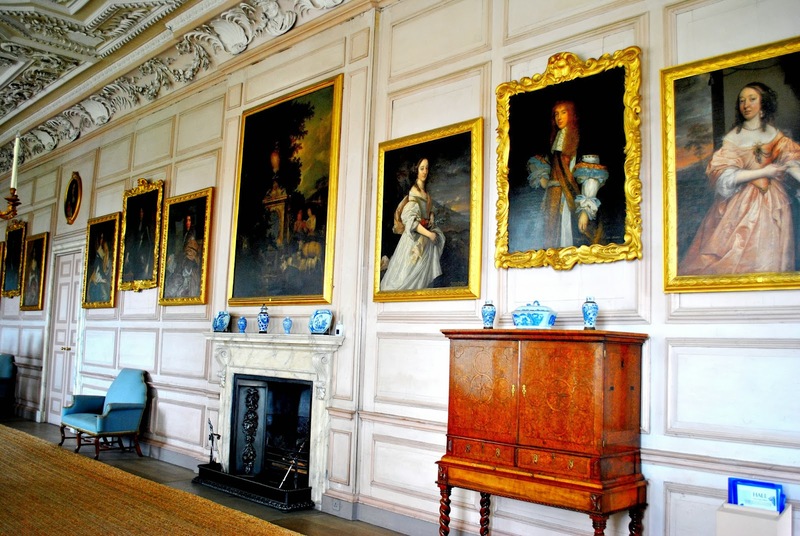 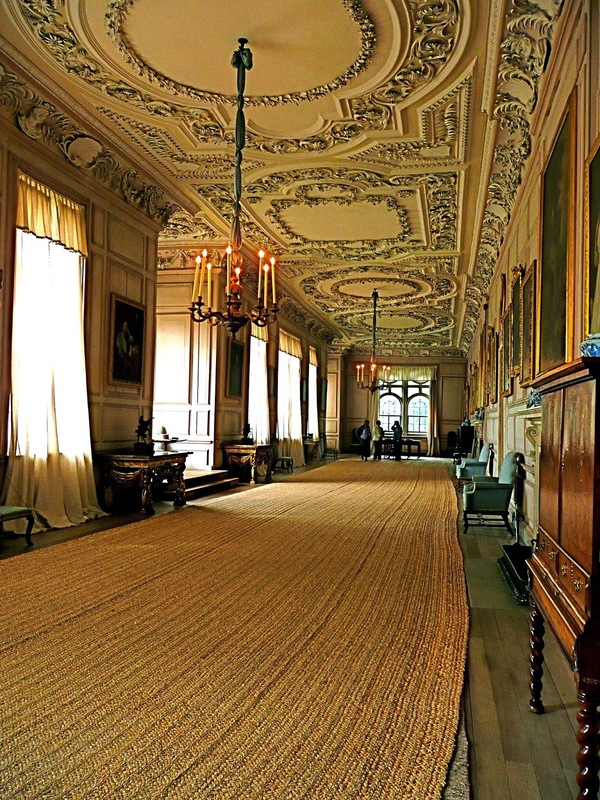 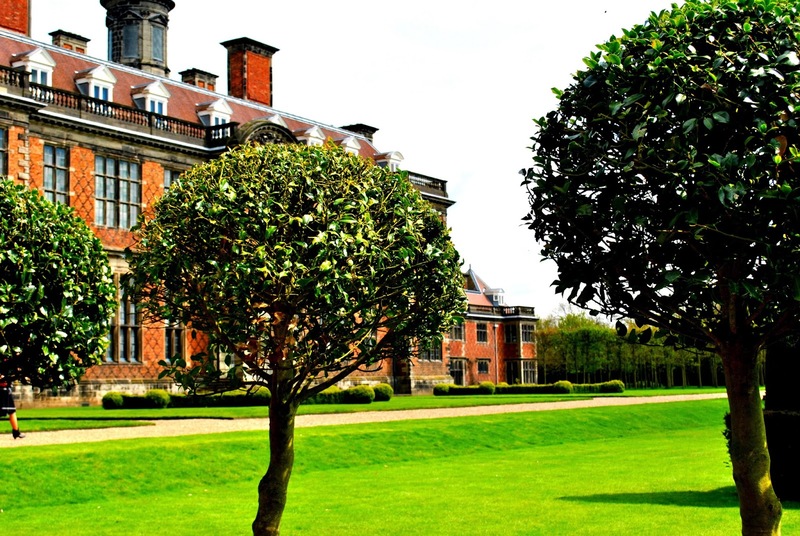 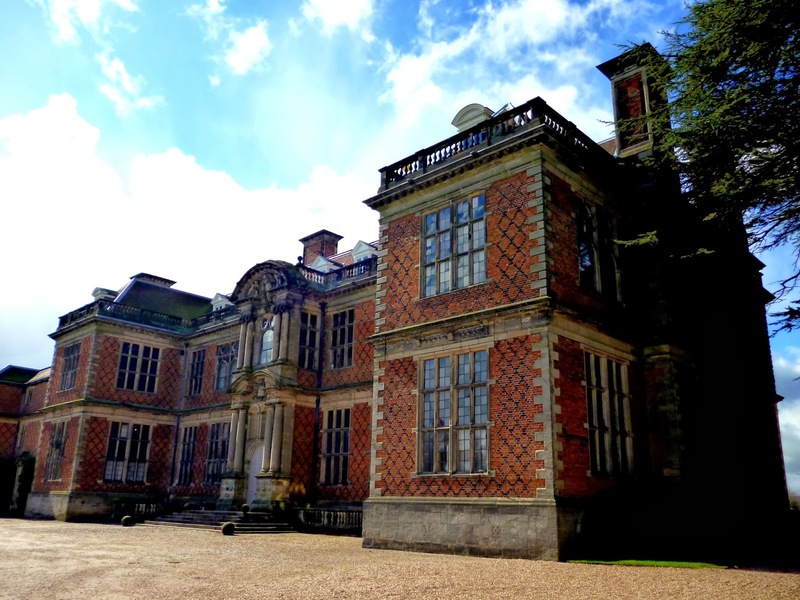 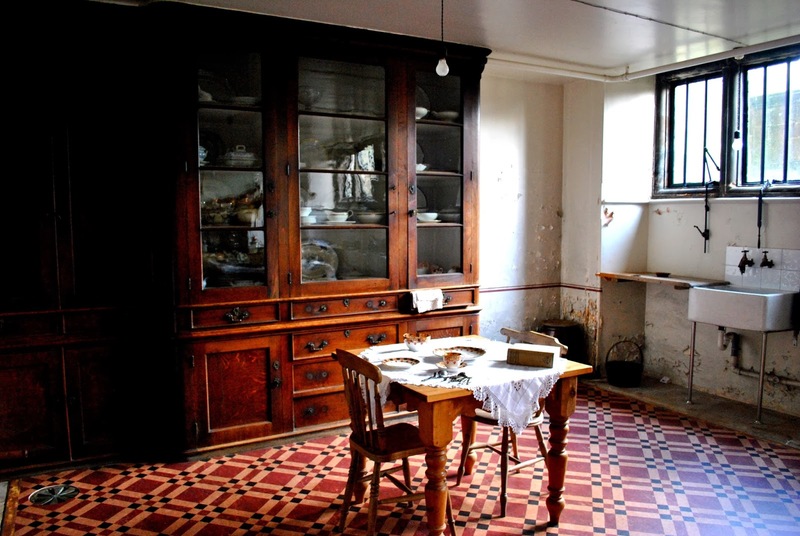 Sudbury Hall is a country house in Sudbury, Derbyshire, England. 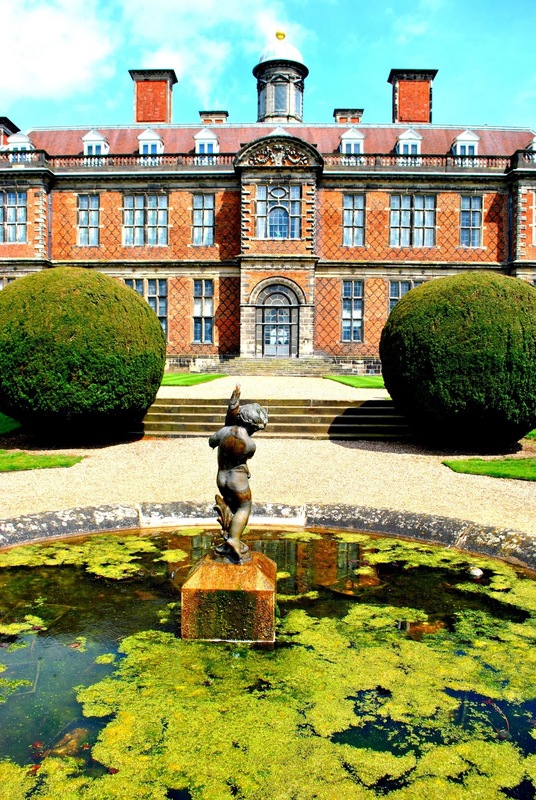 Sudbury Hall is one the country's finest Restoration mansions and has Grade I listed building status. 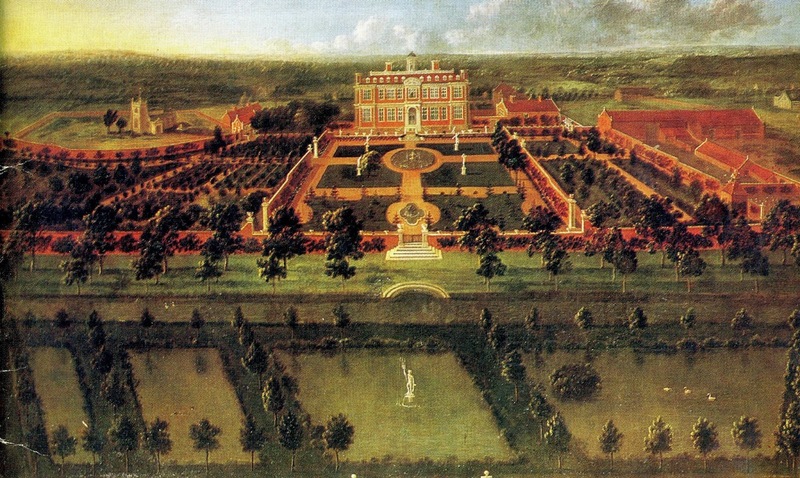 The Vernon family came to Sudbury as a result of the 16th-century marriage of Sir John Vernon to Ellen Montgomery the Sudbury heiress. 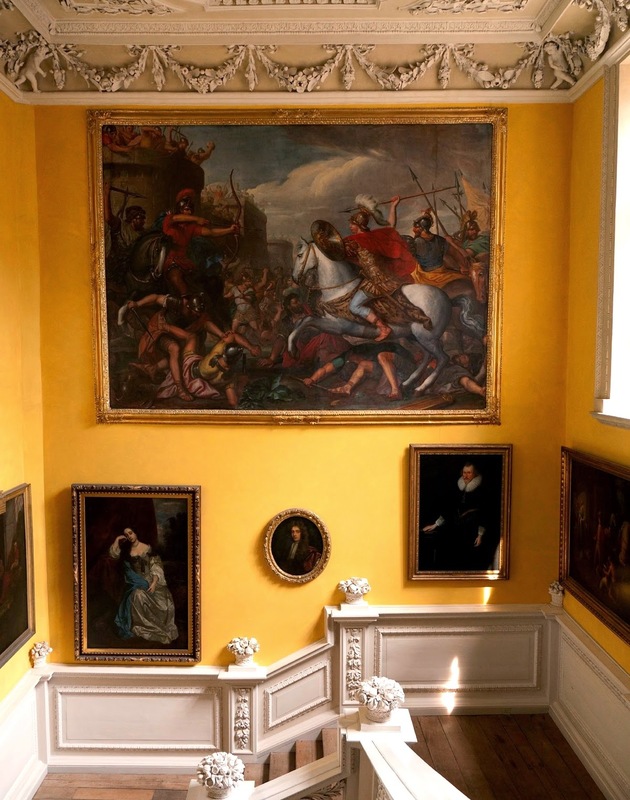 The house was built between 1660 and 1680 by George Vernon, grandfather of George Venables-Vernon the 1st Baron Vernon and is notable for its superb Great Staircase, fine Long Gallery, and portraits by John Michael Wright, and of Charles II's mistresses. 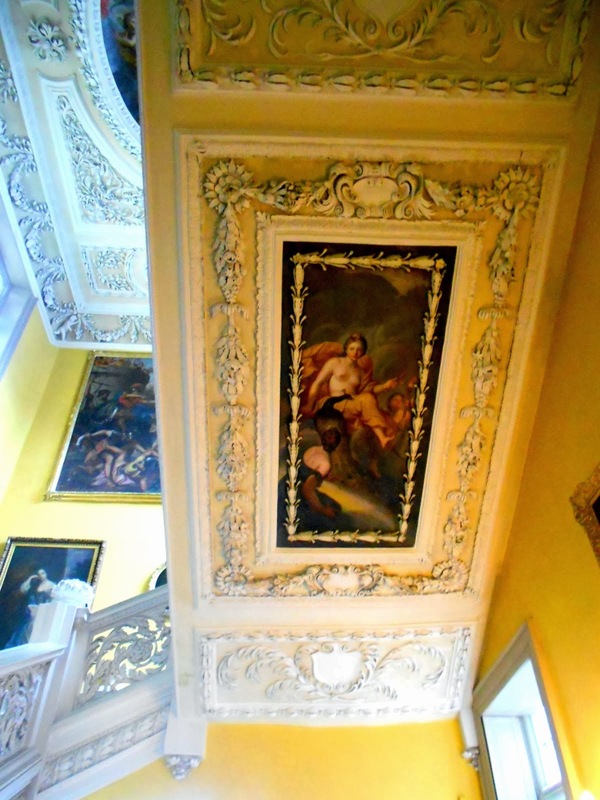 Inside there are a mixture of architectural styles with carvings by Grinling Gibbons and Edward Pearce, murals by Louis Laguerre and elaborate plasterwork by Samuel Mansfield, James Pettifer and Robert Bradbury. 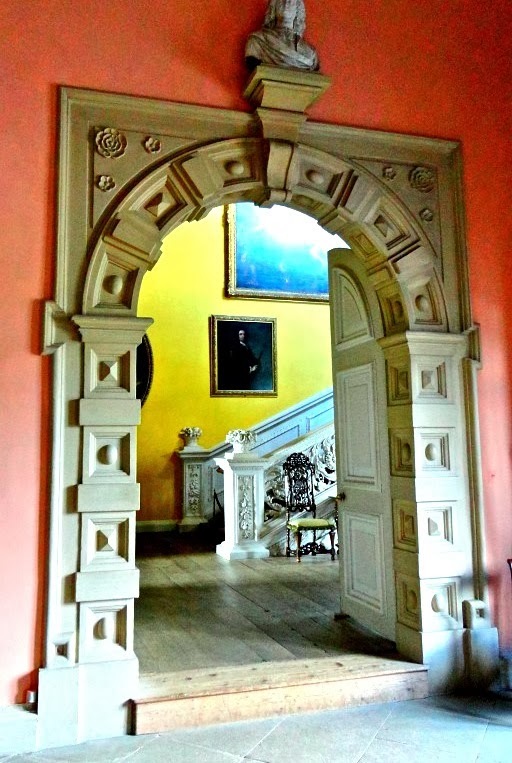 The carvings above the main entrance porch were sculpted by William Wilson. 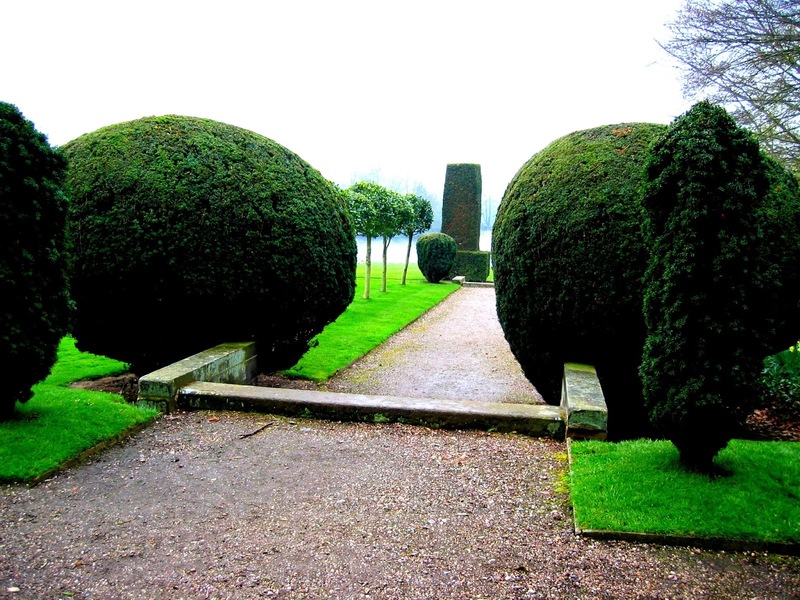 There are formal gardens with a tree-fringed lake. 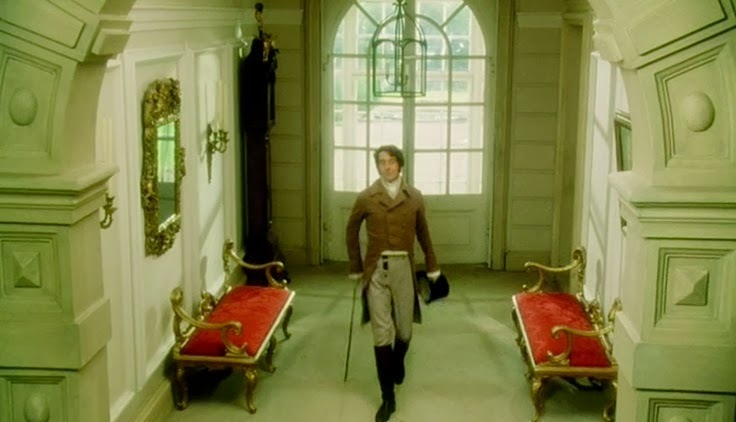 The house was also used for the internal Pemberley scenes in the BBC dramatisation (1995) of Jane Austen's Pride and Prejudice.